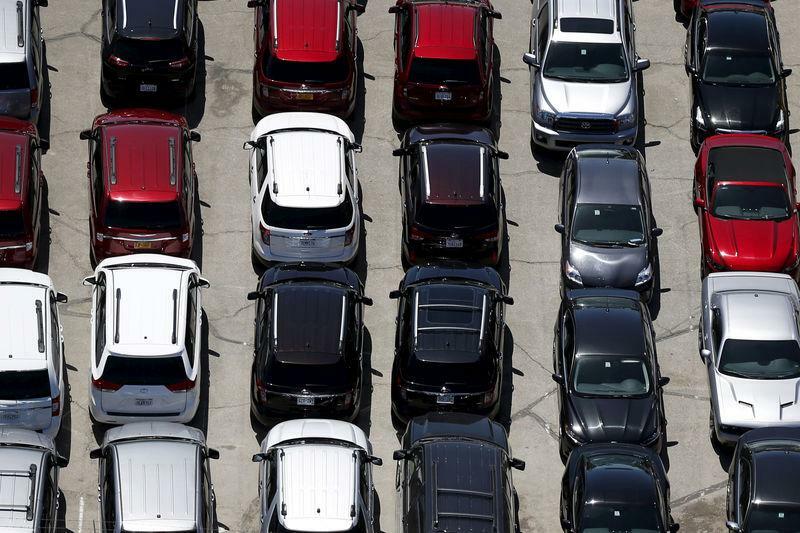 (Reuters) - U.S. auto sales in February will increase less than 1 percent from a year earlier, even as consumer discounts remain at record levels, industry consultants J.D. Power and LMC Automotive said on Friday. February U.S. new vehicle sales will be about 1.35 million units, up 0.6 percent from a year earlier, the consultancies said. The seasonally adjusted annualized rate for the month will be 17.7 million vehicles, up from 17.6 million on the same basis a year earlier. Retail sales to consumers, which do not include multiple fleet sales to rental agencies, businesses and government, were set to post a 0.4 percent increase in February. LMC and J.D. Power maintained their 2017 sales forecast of 17.6 million vehicles, an increase of 0.2 percent from 2016. U.S. sales of new cars and trucks hit a record high of 17.55 million units in 2016. As the market saturates, automakers have been hiking incentives to entice consumers. Through the first 12 days of February, industry incentive spending was $3,748 per new vehicle sold, the highest level ever for the month, and up $294 from a year earlier. Incentives as a percentage of manufacturer's suggested retail price were at 10.3 percent in February, exceeding the 10 percent level for the first time in the month since 2009, J.D. Power and LMC Automotive said. "While the retail SAAR remains robust, the elevated levels of incentives remain a fundamental threat to the long-term health of the industry," said Deirdre Borrego, senior vice president of automotive data and analytics at J.D. Power.